Last week we had a session at the Archives+ handling table with material about the singer, actor and civil rights activist Paul Robeson. It’s a bit of stretch to call this a handling session – most of what we had out were books that you can ‘handle’ in our library at any time. 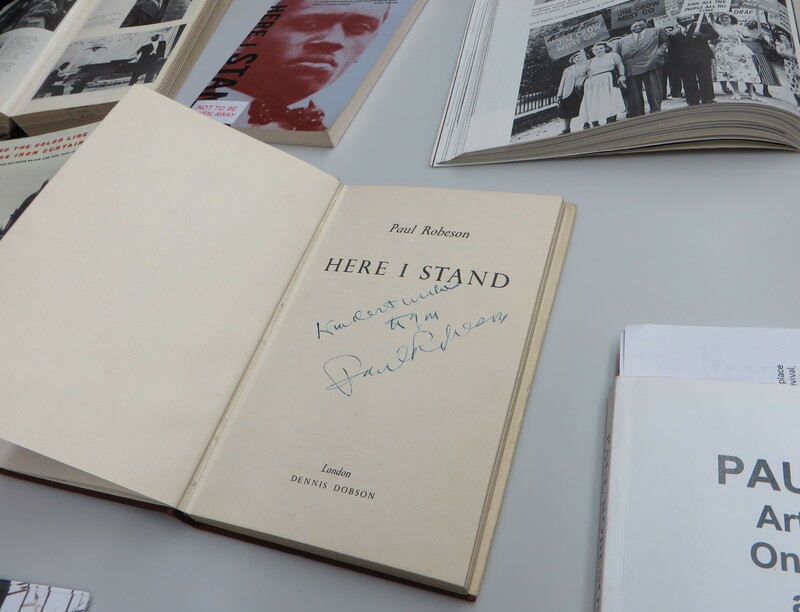 Having said that, the main attraction was something from our archive; a signed copy of Here I Stand, Robeson’s autobiography, donated by Linda Clair. This definitely generated some interest – there’s something magical about seeing the marks made by a famous hand. A topical subject at the moment, immigration. Beneath the headlines, however, is a complexity of economic, social and political movement and motivations for movement, a tangled network of transnational relationships that criss-cross the globe and a morass of successive legislation and policymaking underpinning it. Wilf Charles is mentioned, in passing, in literature about Len Johnson (Manchester’s black boxing hero), about the International Brigade and the Spanish Civil War, the Communist Party and the 5th Pan-African Congress in Manchester. Who was this radical chap? Next in her series of library indepth posts, cataloguer and book reviewer Jo takes a thoughtful look at the Culture and Identity section. 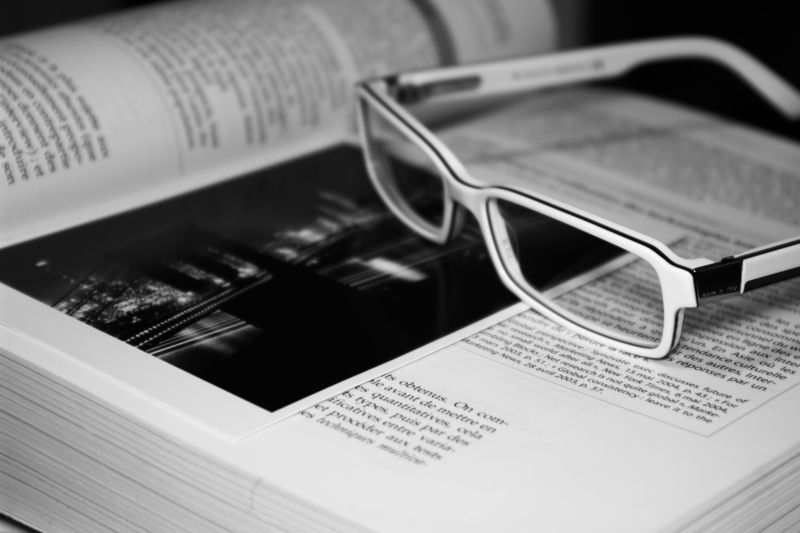 Working at the Centre, we’re often dipping into books and other publications as we go about our day-to-day duties, but it’s impossible not to, at some point, take a book out and read it thoroughly – the subjects are so interesting. One I read recently from cover to cover was Isabel Fonseca’s Bury Me Standing: The Gypsies and Their Journey, an ethnographic study of the Eastern European Roma whom she lived among for several years as she travelled through Albania, Romania, Hungary and Bulgaria (among other countries) in the early 1990s. The book traces their migratory patterns, the origins of their indomitable spirit and their ability to survive the dual impositions of being forbidden to settle at the same time as being forbidden to roam. From Jamaica to England – What happened next? Our Roving Reader has been investigating what happened to the people whose stories and writings she looked at in her journey from Jamaica to England. Una Marson died in 1965, but she lived for many years in the London Borough of Southwark. In 2005, Southwark Council awarded her a Blue Plaque in recognition of her contribution to literature and broadcasting. If any of you go and see it, let us know. There’s some more information on the Southwark Council website. Joyce Gladwell is still alive and kicking. Her Brown Face, Big Master was reissued as a Caribbean Classic by MacMillan in 2003. Joyce herself went on to become a successful marriage and family therapist in Canada, whilst her husband became a professor of mathematics. In 2009, a counselling centre was named after her in recognition of her work. One of her sons is the journalist and best-selling writer Malcolm Gladwell, who discussed his mother’s life in one of his books – Outliers: The Story of Success (published 2008). You might like to read more about Joyce and the counselling centre or Malcolm Gladwell’s thoughts on his multi-racial background. Concerning the Adult Literacy Projects, I don’t have updates about Louise Shore and the individuals who contributed to So This Is England. But you may like to know what happened to Centerprise, the organisation which published Louise’s autobiography Pure Running. A Life Story. It survived as the Centerprise Trust Community and Arts Centre in Dalston, London, until 2012. Unfortunately, its peppercorn rent of £10 per month was suddenly raised by Hackney Council to an impossible £37,000 per year. After much legal wrangling, it looks like it finally closed, to great disappointment all round. It had been open 41 years, and had helped many isolated immigrants in London. If anyone out there knows of any further developments on this matter, we’d welcome an update. You can read more about it on the Radical History of Hackney blog and the Hackney Citizen website.